Globish, an online startup English language school, is using a customised learning system to help learners feel more confident speaking a foreign language. Globish says it is developing a learning system that can serve students' needs, offering a variety of coaching and language courses. Globish's unique video call app has been specifically developed by its team and differs from Skype or other standard video call apps.Live classes can be operated around the clock and at the student's cnovenience. Prestige Books in Moscow will release Globish IN Globish in a side-by-side, book/CD combination. Globish IN Globish has been a consistent online course in Globish with 1000 linked pages of interactive learning on computers or mobiles, but has never been made into either a book or companion CD Audio. This version of GNG is being edited by Dr. Alexander Lapitsky, a famous linguist in Russia who has written and been editor of over 30 books and dictionaries regarding 10 different languages. On July 29, Lingua Franca Ltd. is pleased to present a special talk on "Globish in Globish" in Tokyo. Mr. Jean Paul Nerriere, the creator of Globish, is coming from France to tell the beginnings of his idea. He discovered the elements of Globish while he was visiting Japan in 1989 as International Marketing VP for IBM. Since then, he has written books about Globish that were best-sellers in both Europe and Japan. Now, in Tokyo, Mr. Nerriere will discuss ( 1) the key features of Globish, (2) its importance for business worldwide and for the Japanese culture, and (3) the most efficient way to learn Globish. Lingua Franca was established in May 2009 to provide International Communication services such as the Globish concept. These Globish ideas would be shared by everyone around the world and would become the "Lingua Franca" of this century. "Globish is not a language, it is a tool," Mr.Nerriere says. "A language is the vehicle of a culture. Globish doesn't want to be that at all. It is a means of communication." Mr. Nerriere has just declared his clear intention to support Lingua Franca in its efforts to spread the Globish concept in Japan, and to teach it completely to its learners. Globish is the easiest, fastest, and least expensive way to master a perfectly correct English language at a level which is proven enough for international communication. Lingua Franca is a company specialized in bringing English learners in Japan to the level of English they need to be successful in worldwide communication, especially for business purposes. Lingua Franca will contribute to promote globalization in Japan so as many people can actively participate in global community as possible by providing Globish lesson program supervised by Mr. Nerriere, and his international Globish team. On this edition of Peter Lavelle's CrossTalk: Speaking in one tongue? The English language is globally dominant today, but will this remain the case? Could, for example, Mandarin Chinese make a bid for global dominance? Is it desirable to have a single global language? Can any major language be devoid of cultural meaning? 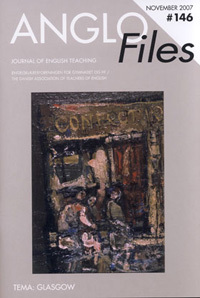 Asked differently, could English become a value-free language for all to use as they wish? 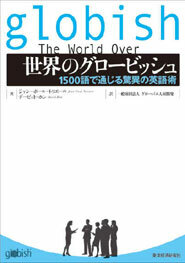 Japanese Translation “Globish The World Over” from Toyo Keizai in book stores. Did you ever wonder what to do with those 3-10 people who show up for your English Conversation classes? Use these plays for reading, or even for staging with chairs and a blank stage. They offer many possibilities to study pronunciation, stress, and more in a non-threatening -- fun -- activity for the class...Try a free sample play, Auditions for God.